Linux is fun! Huhhh? OK, so you don’t believe me. Meet me at the end of this article and you’ll believe that Linux is actually a fun box. You might be aware of command ‘ls‘ – the list command – and use it frequently to view the contents of a folder. But, because of miss-typing sometimes, you’d result in ‘sl‘. How about having a little fun in terminal and not seeing “command not found“. This command works even when you type ‘SL‘ and not ‘sl‘. No! No!! It’s not as complex as it seems. You’d be familiar with telnet. Telnet is a text-oriented bidirectional network protocol over a network. Here, nothing needs to installed. What you should have is a Linux box and a working Internet. What about getting your random fortune; sometimes it’s funny in terminal. You're not my type.For that matter, you're not even my species!!! Future looks spotty.You will spill soup in late evening. You worry too much about your job.Stop it.You are not paid enough to worry. It reverses every string given to it; it’s not funny. Time for some Mathematics. This command outputs all the possible factors of a given number. How about an ASCII cow in terminal that will say whatever you want? It’s funny, but useful as well -especially in scripts and for System Administrators where an automated predefined response can be passed to terminal or generated. You might have seen the Hollywood movie ‘Matrix‘ and are fascinated with the power Neo was granted. 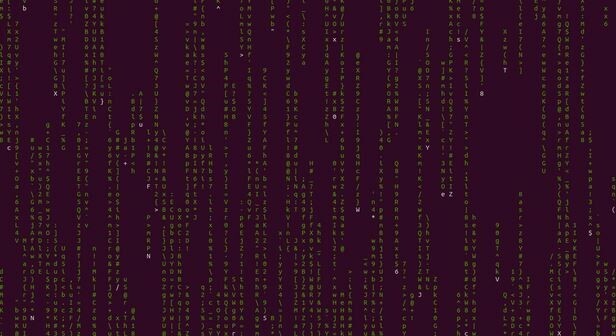 He could see anything and everything in Matrix – or you might think of it like an animation that looks like a Hacker‘s desktop. This is a very nasty piece of code. Run this at your own risk. This actually is a fork bomb, which exponentially multiplies itself till all the system resources are utilized and the system hangs. (To check the power of above code, you should try it once, but at your own risk. Close and save all other programs and files before running fork bomb). Just Turn the Knob of your multimedia speaker to full before pasting this command in your terminal and let us know how you felt listening to a god-like voice. root@5kYp01n7:~# espeak "5kYp01n7 is a very good website dedicated to Foss Community"
It’s time for you to have some one-liner tweaks. There are certain others, but these don’t work on all the systems. Hence, they’re not included in this article. Some of them are man dog , filter, banner, etc. Your comments are highly appreciated and they encourage me write more. Tell me which command you liked the most. Stay tuned: I’ll be back soon with another article worth reading.